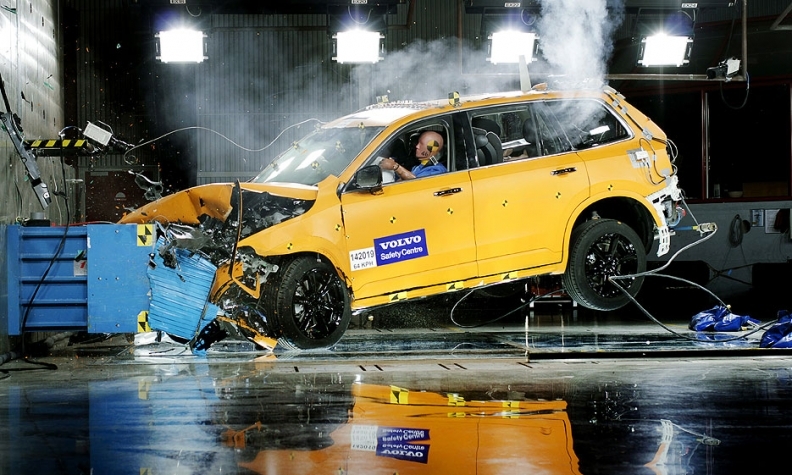 Volvo's redesigned XC90 crossover undergoes a front offset crash test by the company. NHTSA is proposing three new ratings for cars and trucks based on pedestrian safety, crashworthiness and crash avoidance under its New Car Assessment Program. Federal regulators today proposed overhauling the government’s five-star vehicle safety ratings to add scores for crash avoidance technology and pedestrian protection and to incorporate a new test that measures performance in a frontal offset crash. The new system, which would allow vehicles to be scored in half-star increments for the first time, would be used on cars and trucks starting with the 2019 model year. The National Highway Traffic Safety Administration said it plans to collect public comments and issue a final decision by the end of 2016. The changes would likely compel automakers to offer more cars and light trucks with features such as automatic emergency braking, blind-spot detection, lane-departure warning and pedestrian detection as standard equipment. Regulators would develop minimum performance criteria and rate vehicles based on how they stack up to that, giving only partial credit to vehicles that make the technology optional. 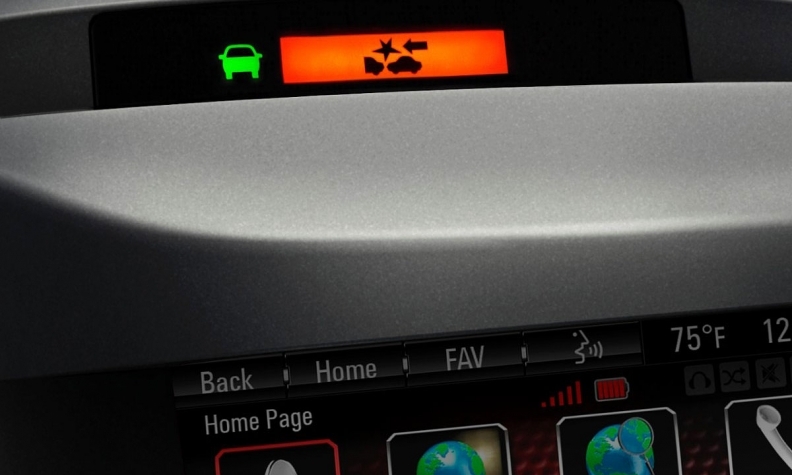 The forward collision alert and lane departure warning on a GMC Terrain Denali. The proposal comes amid a significant increase this year in highway fatalities, which had been on the decline over the past decade. Traffic deaths rose 8.1 percent in the first half of 2015, a gain that experts have largely attributed to low gasoline prices that have encouraged people to drive more. A frontal oblique crash test designed to simulate the type of accident that continues to be responsible for a large number of deaths and serious injuries. Some automakers have struggled to earn top ratings on a similar test recently implemented by the Insurance Institute for Highway Safety. Full frontal crash tests using a fifth percentile female dummy to better measure safety of rear-seat passengers, especially children. More humanlike crash-test dummies to gauge the likelihood of chest, abdomen, lower spine and brain injuries. A pedestrian five-star rating to reflect the presence and performance of frontal pedestrian automatic emergency braking and rear automatic braking systems. A rating of crash avoidance and advanced technology systems, including forward collision warning and automatic emergency braking, as well as features such as semiautomatic headlight beam switching to improve driver visibility. Updated criteria to measure a vehicle’s resistance to rollovers.